Since our doors opened in the year 1988, Barloworld Toyota Witbank continues to sell great cars and offers magnificent service. 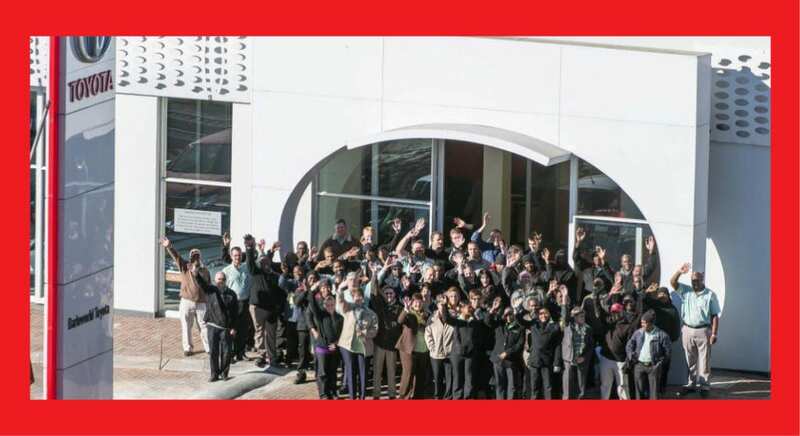 Barloworld Toyota Witbank is grateful and proud of being part of an amazing company representing a wonderful brand. We are humble and thankful to be able to contribute towards sustainable growth within our company. The team at Barloworld Toyota Witbank have aligned themselves in servicing the people. We are looking forward to doing good in the lives of others without expecting anything in return. At Barloworld Toyota Witbank it is the customer’s right to be serviced and not a privilege, it is our privilege to have you and serve you well. Life is the journey we all embark on, we decide how we are going to enjoy it. We are living by the motto “To be stepped on you have to be laying down”. We as a team will never give up and in tough times we are concentrating on good things and things we can control.